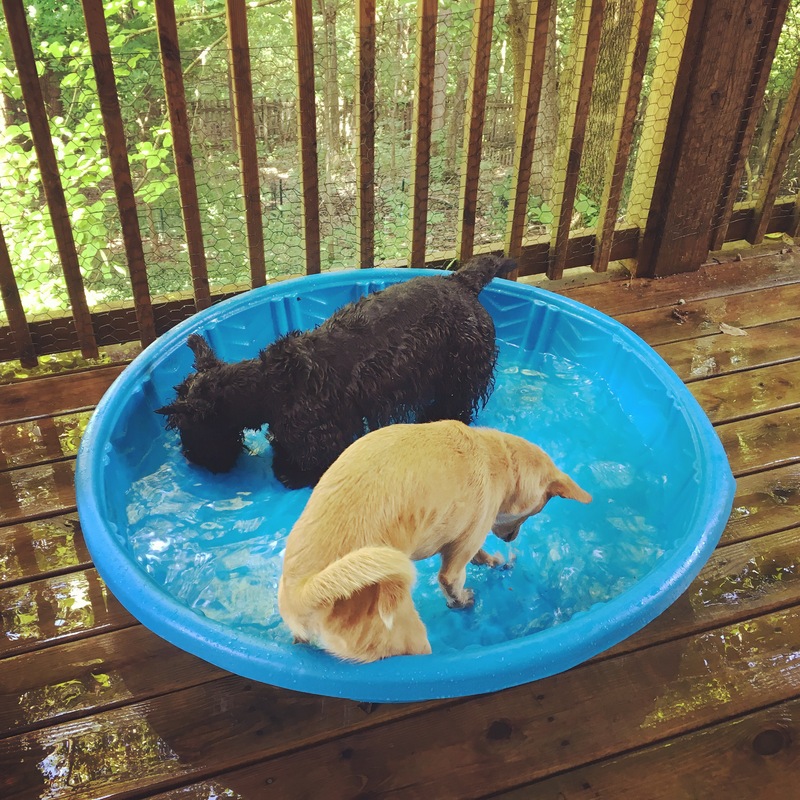 Puppy Olympics Update: Jack and Arya compete in the preliminary rounds of Hot Dog Bobbing, Freestyle – Pairs Division. The duo are heavily favored for a medal. It appears that the team is working harmoniously for an excellent finish. Love that pool! I gave one to neighbor-dog for hot days. He was suspicious of water yet loved to lie in it, empty – gofigure. Haha! How fun. Perhaps the neighbor dog was practicing for another event? I LOVE it! Their hooman is so very talented, and a wonderful doggy friend, giving the two of them so many experiences!